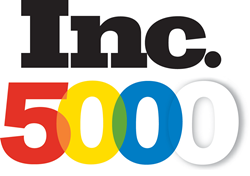 Inc. magazine today named IT services firm, 4th Source, to the Inc. 5000 list of fastest growing companies in America for the sixth time. Inc. magazine today named IT services firm, 4th Source, to the Inc. 5000 list of fastest growing companies in America for the sixth time. The exclusive list represents companies who showcase rapid growth over a three-year span. 4th Source operates under the belief that every organization should have access to quality, cost-effective resources to accelerate their IT agenda. Starting as a nearshore resource hub in 2004, the company has grown to a mature, end-to-end software and IT service provider and consultancy. Investments in people and technology are among the top reasons 4th Source continues to grow. The company has spent over a decade cultivating a unified family culture, stressing service and availability, and its employment packages are among the most competitive in Mexico and the US. Recent technology investments include becoming a certified ServiceNow partner and adding capabilities in Pega. To learn more about 4th Source, please visit http://www.4thsource.com. About 4th Source: 4th Source, headquartered in Tampa, FL, is an IT services organization employing over 500 people in the US and Mexico. 4th Source helps businesses establish leading market positions with IT services, business process services, and application development. The hybrid nearshore-onshore model offers convenient proximity, similar time zones, efficiency gains, and significant cost savings. To find out more, visit http://www.4thsource.com.